As many of you may know, I have been sick for the last ten years of my life and my family has learned and has had to cope with helping me do certain day to day things. I was diagnosed with pseudo obstructive intestinal disorder, and it causes great pain and weakness at times. I was a very active person, and now as my health worsens, I sometimes end up being hospitalized for weeks at a time. This causes emotional and also financial strain within the family. I have slow function of my small bowel and I don’t get the proper nutrients or important things out of what I eat. As a result I have to be hooked up to a medication known as TPN, or temporary parental nutrition, to get what I can’t get from food as everyone else gets by eating. This disease causes constipation, nausea and abdominal pain and distention. Sometimes, it gets so bad, that I lose very important electrolytes and have to be hospitalized for dehydration. I have issues with malabsorption, and stunt of growth, and late development. That’s why I still look like a 12 year old, and have small features. In order to get back to a healthier life and live a normal lifestyle, I would need a small bowel transplant, and yes they do bowel transplants! Once I get this transplant, I will be able to eat and absorb foods and gain and maintain a healthy and normal weight for my age. I will be able to get back to a somewhat normal lifestyle and I’ll have a good chance at living a full, long life. The reason I’m trying to raise money is so that I can pay for the expenses that insurance doesn’t cover such as room and board, medications, and any other additional expenses. 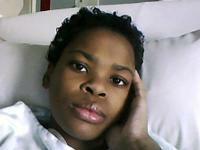 My goal is to raise $75,000 for my pre and post-operative expenses. To help offset these uninsured costs, a fundraising campaign in my honor has been established with HelpHOPELive (formerly NTAF), a nonprofit organization that has been assisting the transplant community for nearly 30 years. All contributions are tax deductible, are held by HelpHOPELive in the South-Atlantic Small Bowel Transplant Fund, and are administered by HelpHOPELive for transplant-related expenses only. You can help me get through what is going to be a long and serious journey. Please consider making a contribution.As I said before, it’s going to be a long and difficult journey, but it’s going to be a journey that we will all go through together. It’s going to happen and I’m ready for that day.